The new Premier League season is just around the corner and William Hill are giving away free bets for new and existing customers. 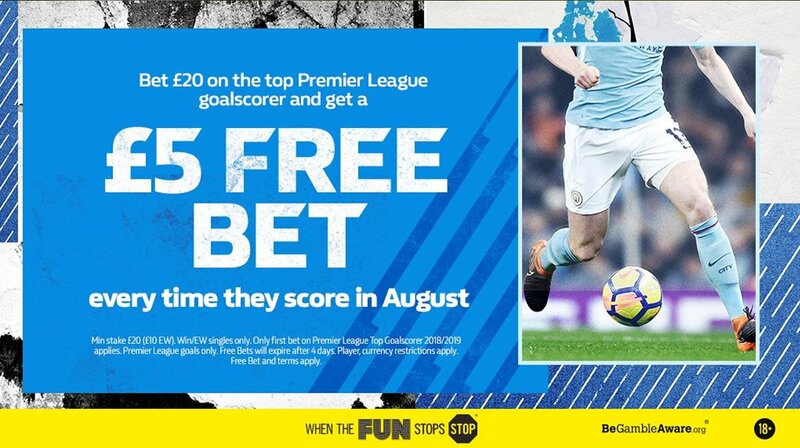 Bet £20 on the Top Goalscorer market and get £5 every time he scores in August! 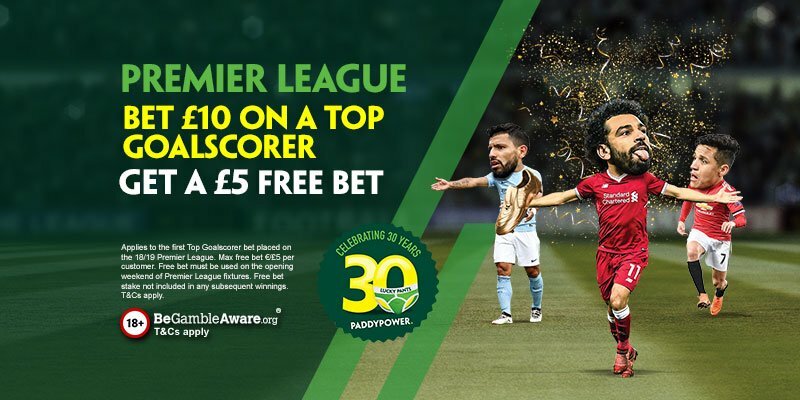 You have to bet a total of £20/£10 each way on the Premier League 2018/2019 Top Goalscorer market, and receive a £5 or currency equivalent free bet every time your player scores a goal in a Premier League match this month. Registering with the site is a very easy task indeed and will take you just a matter of minutes to complete. Once that’s sorted out it’s time to get your hands on the William Hill welcome offer. 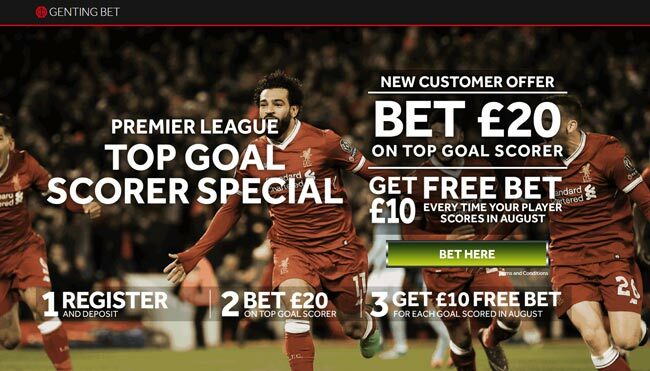 Other bookmakers are offering very similar promotions. This give us the chance to back several players and improve the chance to get free bets this month. Which player should you choose? It’s entirely up to you which player you place your qualifying bet on. We suggest you to avoid players just joined up with their teams after the world World Cup campaign. They could miss a couple of games or play few minutes. Romelu Lukaku and Harry Kane, for instance, have returned to Man UTD and Tottenham respectively few days ago. Kane has also never scored a goal in August, so that should rule him out of the offer for you too. Arsenal have a tough set of matches this month as the Gunners will face Manchester City and Chelsea in August while Liverpool have a fairly favourable fixture list as they will take on West Ham, Crystal Palace and Brighton. Hence, Mo Salah could be a great choice! Sergio Aguero scored a brace in the Community Shield against Chelsea. The Citizens will face Huddersfield and Wolves after a tough start against Arsenal. If Guardiola's men will score for fun as they did last term, Aguero could be another smart selection! Looking for daily Premier League betting tips? For every Premier League matchweek, our expert tipsters will share plenty of tips and predictions to help you maximise your betting profits. Find here our free Premier League predictions and betting tips selected by our range professional punters! Wanna know how to take part? Find all details and terms and conditions on www.williamhill.com! 2018 World Cup Top Goalscorer Predictions: Who will win the Golden Boot? "Premier League Top Scorer Free Bet: £5 Every Time Your Player Scores at William Hill"